Part of the Castle and Dragon seating range. Suitable for use with the Castle Backrest. 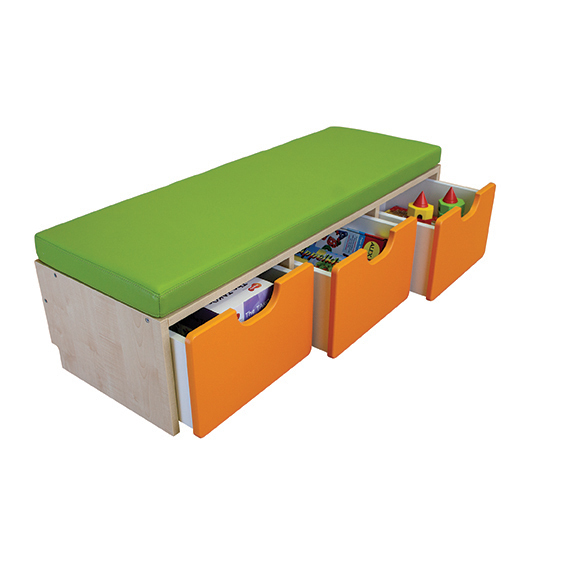 3 pull out cubbies on castors – includes cushion. Accessories not included.